Signal Advance Inc. believes its SA patent represents a new and unique application of the concept of ‘signal advance’ to medical and other applications and thus is seminal in concept. 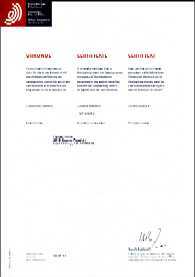 To date, SAI is unable to find any patents related to temporally advanced signal detection to improve the performance of control or responsive systems nor have patents been found that prevent Signal Advance from practicing its technology, or that offer superior solutions to the issues addressed by Signal Advance. Patent applications entitled ‘Utility and Method for the Application of Signal Advance Amplification to Analog Waveform or Signal Detection’ describing the broad basis of the proprietary process and technology were filed in the U.S. Patent and Trademark Office (USPTO) as well as foreign counterparts. 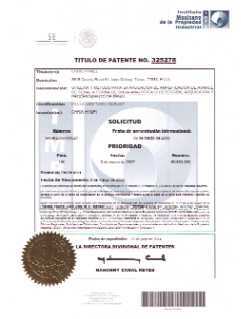 Patents have been granted in China (Nov. 2012), the United States (May 2013), Mexico (Jun. 2014), and Europe (Jan. 2017). In Europe, the countries selected for patent validation include France, Germany, Italy, Ireland, Spain, Switzerland and the United Kingdom. The India patent application is currently under examination as amendments and prior art distinctions have been submitted in response to the first office action. Additional patent submissions related to specific applications, various circuit configurations, and signal processing techniques to improve signal fidelity are under consideration. In addition, the Company has registered the trademark ‘Signal Advance’. The overall patent strategy is based on the fact that SA circuitry must be designed to accommodate the particular signal characteristics and requirements of each specific application. Each one will require the development of SA circuitry and signal conditioning specific to the signal characteristics. The uniqueness of both circuit design and analysis of circuit parameters enables novelty and non-obviousness in patent claim construction. The nature of the manipulation of negative group delay to achieve SA supports non-obvious claims. SAI expects each application of SAT will have its own patent filing. Further, intellectual property related to various SA circuit configurations as well as signal conditioning techniques to improve temporally-advanced signal fidelity, are being pursued. The methods utilized to analyze the idiosyncrasies of individual applications will be maintained as trade secrets. These need not be licensed and may be protected separately. Extensive searches of the patent and scientific literature have been conducted periodically since the first patent filings in 2008. SAI has performed detailed analyses to distinguish among various references to the art and has demonstrated that the prior art does not negate the utility and novelty of SAT. We believe that no combination of the references would render the technology obvious to a person skilled in this area of the art. SAI intellectual property strategy includes adding multiple application-specific patents to its portfolio and each will stand independently. An attack on any one of them will not affect the others. SAI will work with licensees to perform an analysis of market size and penetration to determine which international applications to file and prosecute. How is Signal Advance Inc. innovative? Signal Advance technology can be applied in a broad range of medical and non-medical applications to reduce response delays and improve performance. We are actively seeking strategic partners to implement of our proprietary technology and obtain a competitive market advantage. The concept of Signal Advance technology, the temporal advance of an analog signal, is novel. “The patent is seminal in concept.” “…represents a unique application of the concept of “signal advance…” Steve Weeks, Ph.D. (Solid-State Physics), First Principals, Inc.
“…truly ‘pioneering’ or ‘landmark’…”, David Henry, Patent Attorney. “No other patents were discovered that prevent SIGNAL ADVANCE from practicing its technology, or that offer superior solutions to the issues addressed by SIGNAL ADVANCE.”, “There appear to be no competing technologies…” Steve Weeks, Ph.D. (Solid-State Physics), First Principals, Inc. Indirect completion includes faster electronics, feed-forward and hybrid predictive control methods. Signal Advance technology, applied in conjunction with these methods, may further reduce control response time and improve performance. Signal Advance (SA) technology is based on a wave propagation phenomenon referred to as Negative Group Delay (NGD). Implemented in electronic circuits, NGD has been shown to temporally advance analog signals. In a university study, SA technology was used to temporally advance the detection of a range of signals, including bioelectric waveforms.